Nintendo has a bona fide hardware hit on its hands, but it’s the console using 30-year-old technology rather than its latest release. The NES Classic Edition is in such high demand it’s outselling the Wii U by a huge margin. Poor old Nintendo. After exceeding expectations by selling over 100 million Wii consoles, it released the Wii U expecting a similar response. But no, the Wii U failed 4 Reasons The Wii U Will Fail [Opinion] 4 Reasons The Wii U Will Fail [Opinion] While there is no sign yet of a PS4 or Xbox 720 (not likely to be the real names when they do finally arrive), we do have one next-generation games console on the horizon to... Read More , limping to total sales so far of just over 10 million units. The Nintendo Switch is due to arrive in 2017, but Nintendo also has a new console out this year. The NES Classic Edition is the Nintendo Entertainment System in miniature form, bundled with 30 games, and sold for just $59.99. A package which has compelled people to buy the retro console in massive numbers. According to NPD (via VentureBeat), Nintendo sold 196,000 units of the NES Classic Edition in the U.S. in November. In comparison Nintendo sold 220,000 units of the Wii U in the six months from April to September. And this is with demand for the NES Classic Edition far outstripping supply. 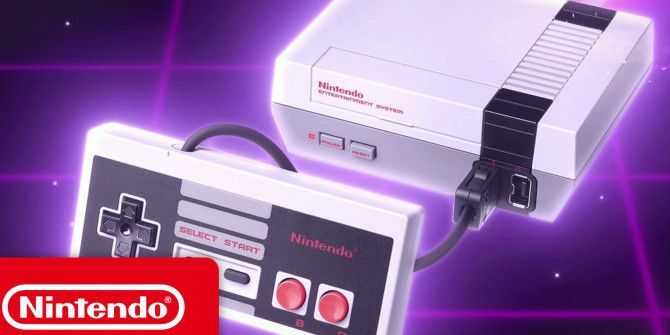 Which is why you might want to check out these alternatives to the NES Mini Beyond the NES Classic Edition: 5 Awesome Alternatives for Christmas Beyond the NES Classic Edition: 5 Awesome Alternatives for Christmas Looking for an NES Classic Edition mini console? You might not find one this holiday season because of high demand. We've got your back covered with five amazing NES Classic alternatives! Read More . What does this tell us? For one, it shows what a difference a dose of nostalgia makes. The Nintendo Entertainment System is consistently voted the greatest games console of all time, and people who played with them as kids want to relive those glory days of 8-bit gaming. It also shows what an uphill battle Nintendo faces selling us on the Nintendo Switch Meet Nintendo's New Games Console... the Nintendo Switch Meet Nintendo's New Games Console... the Nintendo Switch Nintendo has unveiled the Nintendo Switch, a home/handheld hybrid games console designed to give Nintendo fans the best of both worlds. That is if everything goes according to plan... Read More . Initial reactions to Nintendo’s console were good, but that won’t necessarily translate into sales. Especially when people have been burned with the Wii U and its lack of genuinely unmissable games. Have you bought an NES Classic Edition yet? Are you planning to buy one? What other retro consoles would you buy if they were repackaged? Have you bought a Wii U yet? Are you likely to buy a Nintendo Switch? Please let us know in the comments below! Explore more about: Nintendo, Nintendo Wii U, Nostalgia, Retro Gaming. Of course the NES Classic outsold the Wii U, it's $60 instead of $300. In other news, Coors Light outsells Blue Moon and Toyota outsells Lexus. You've completely missed the point of the article. It's not about price, it's about people choosing nostalgia over newness. I'm pretty sure the Wii U would be selling terribly even if it was priced at $60. It does not use 30yo technology..... gosh..... this people who writes articles. I'm sure you know exactly what I mean by that. The innards of this thing may be very different from the original NES, but the games are still based on what was possible to create 30 years ago.